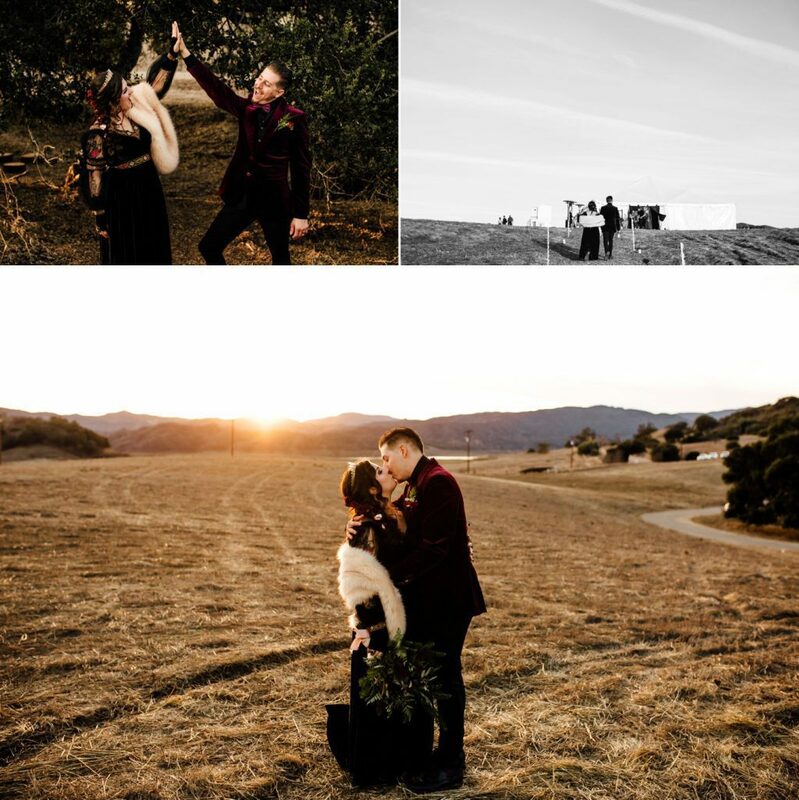 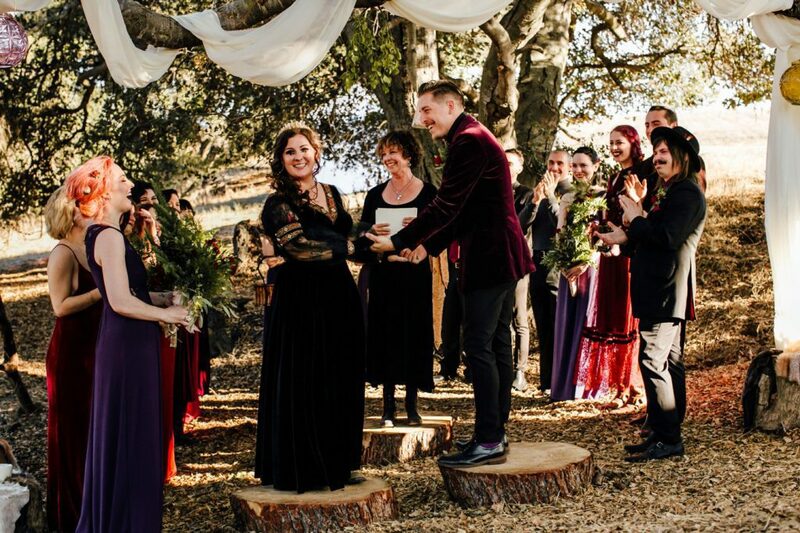 Megan and Nick, with the help of their family and friends, DIY’d their entire wedding. 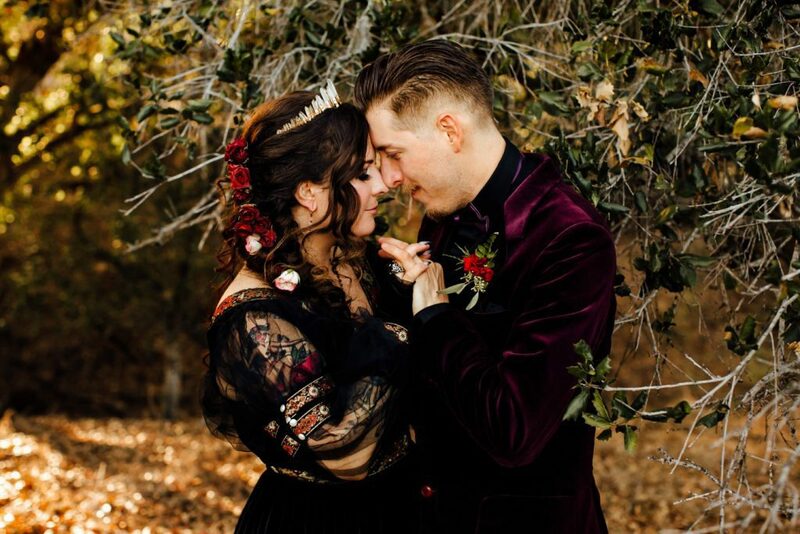 Love and community are the first words that come to mind when I think of these two and their wedding day. 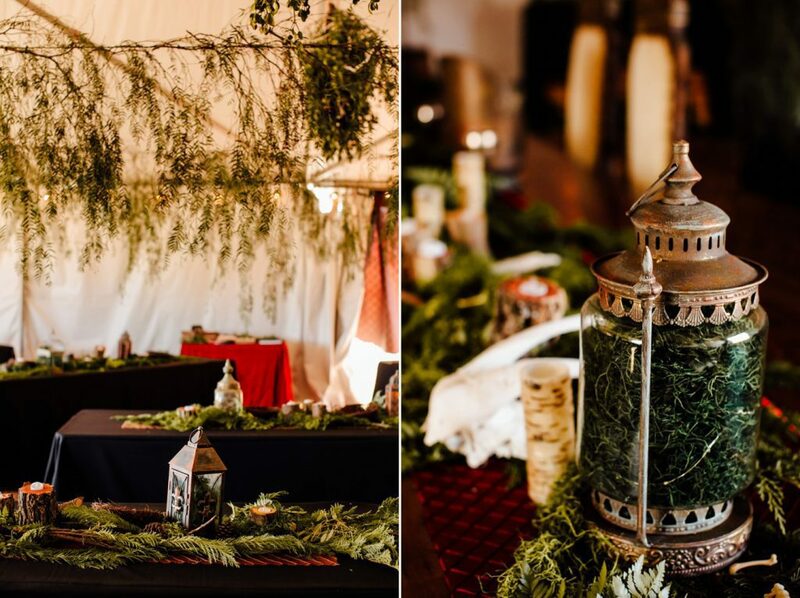 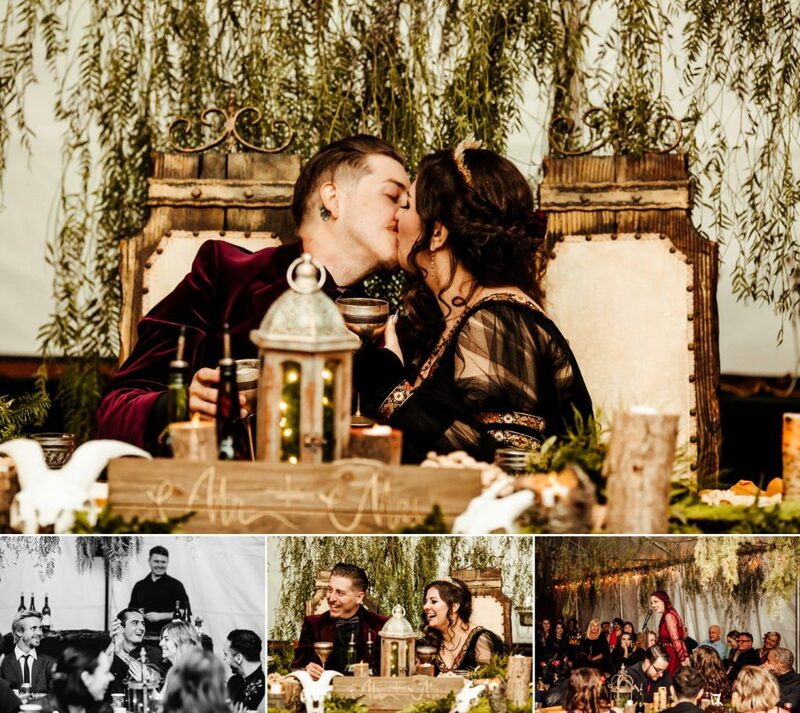 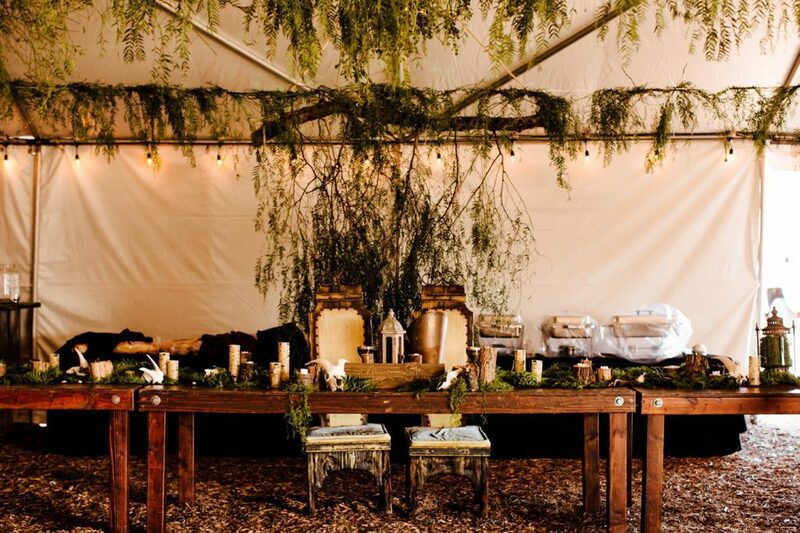 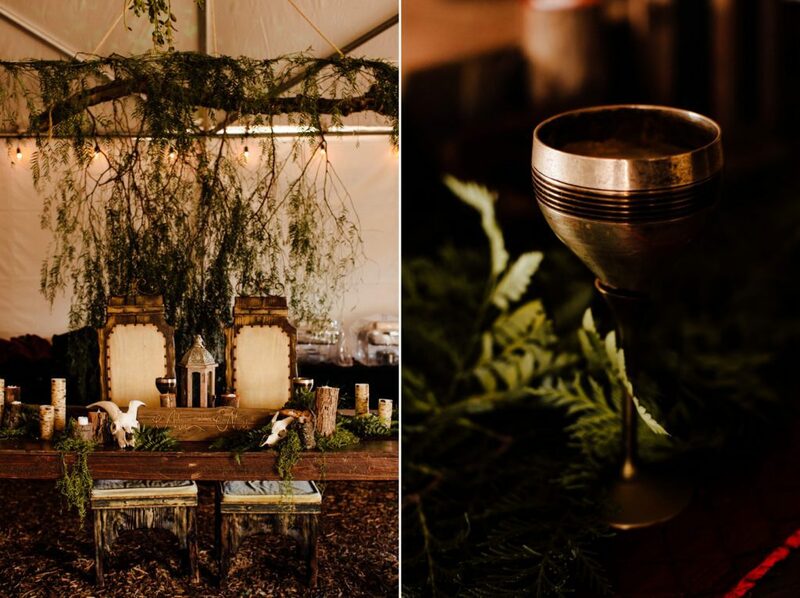 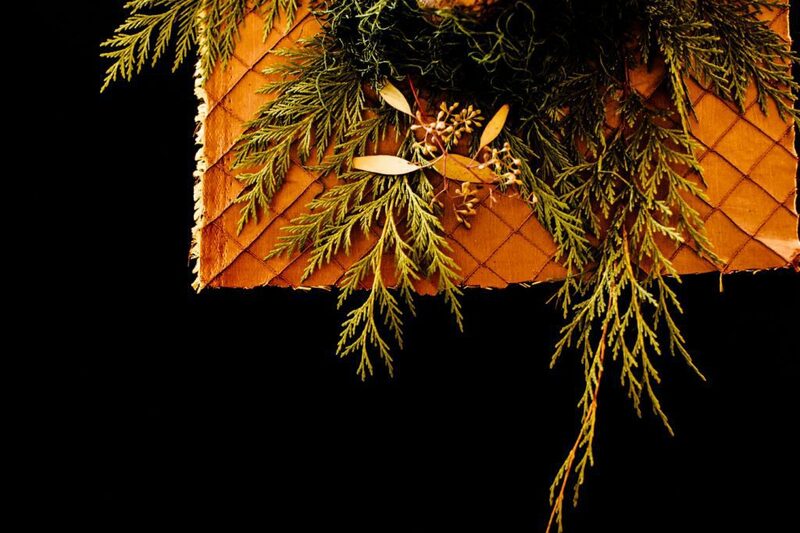 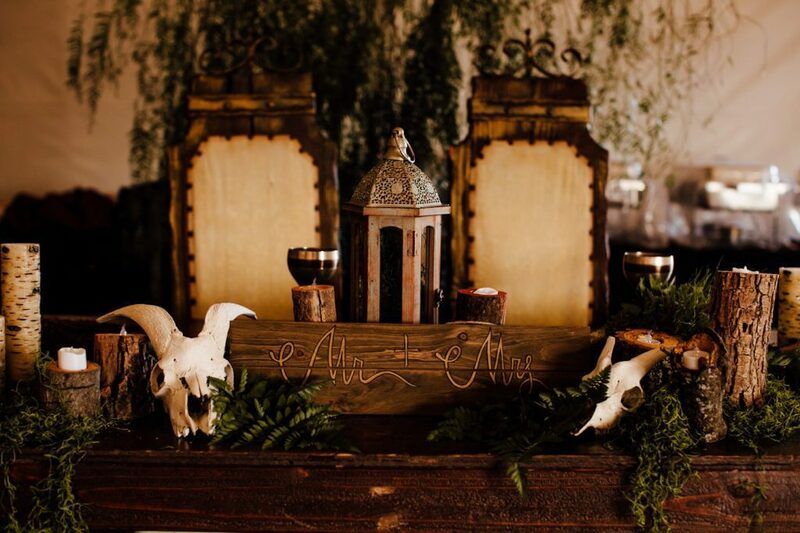 They used natural elements as their decor and hoped that their aesthetic would come through as they highlighted their own set design decoration skills – and I truly think they succeeded. 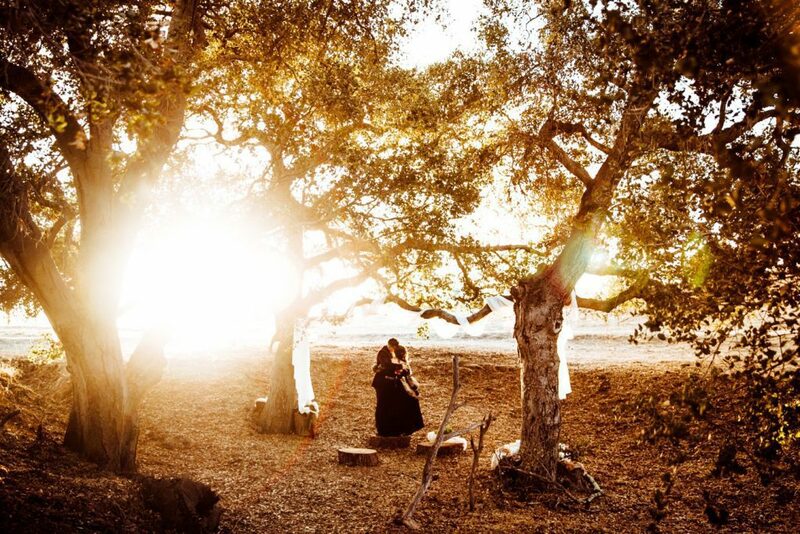 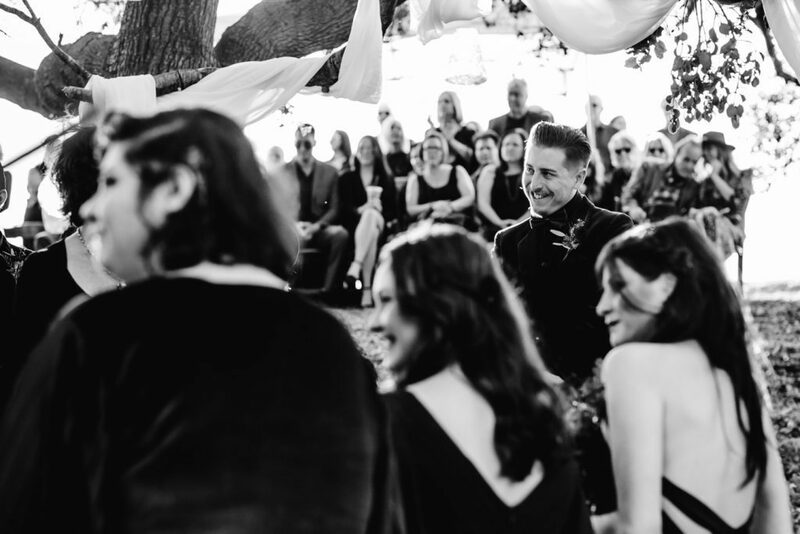 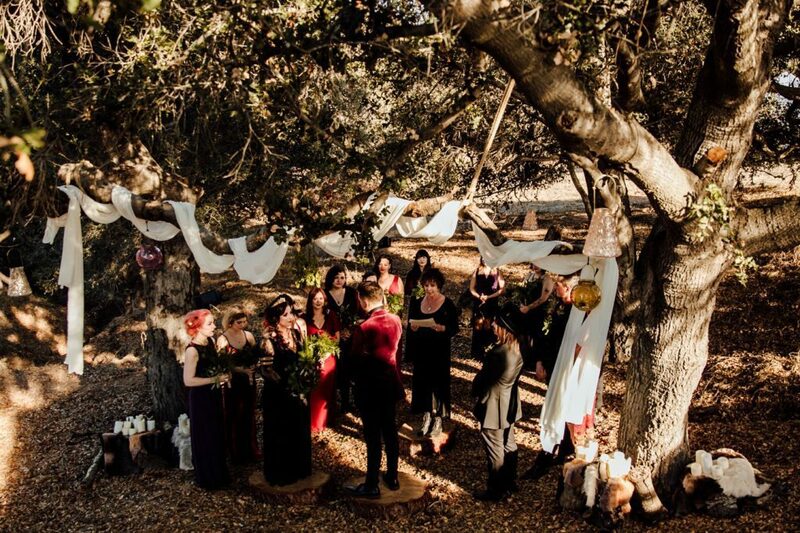 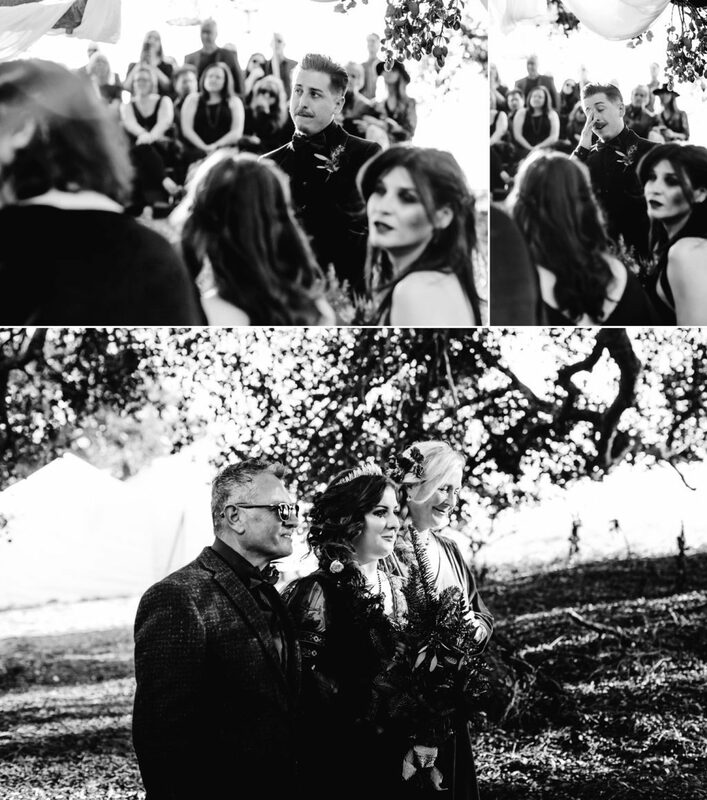 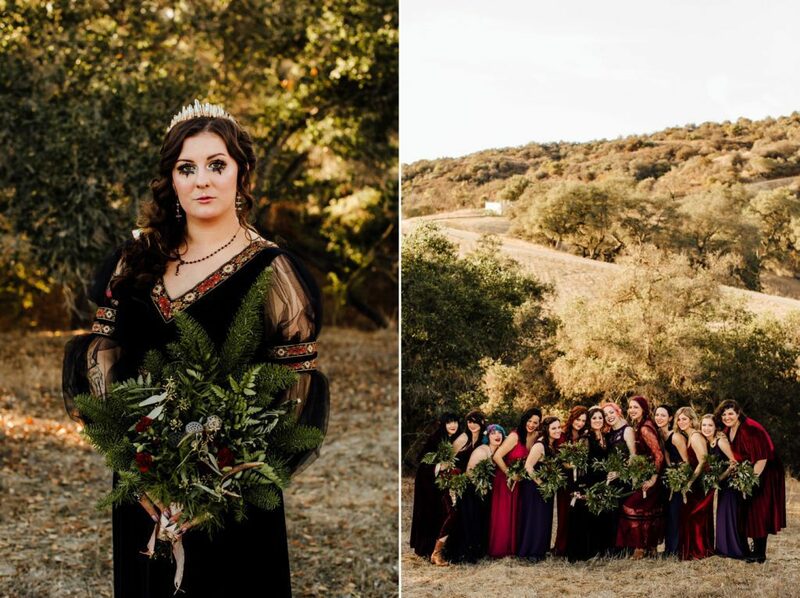 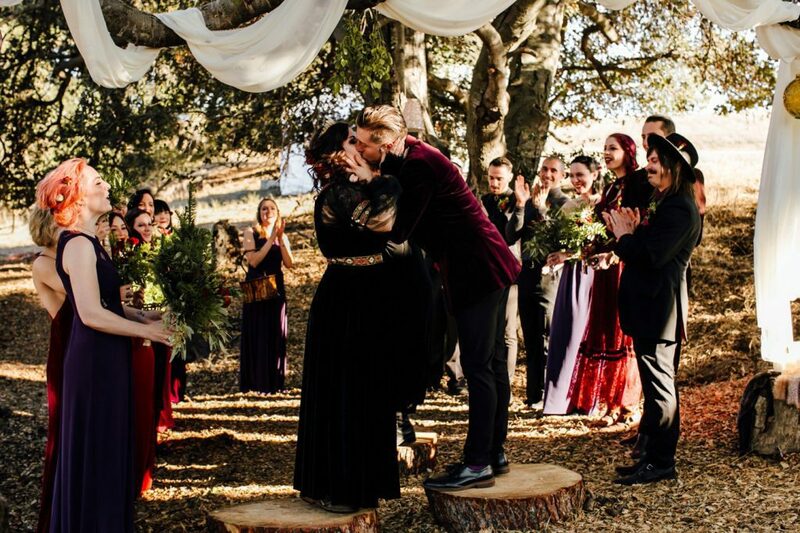 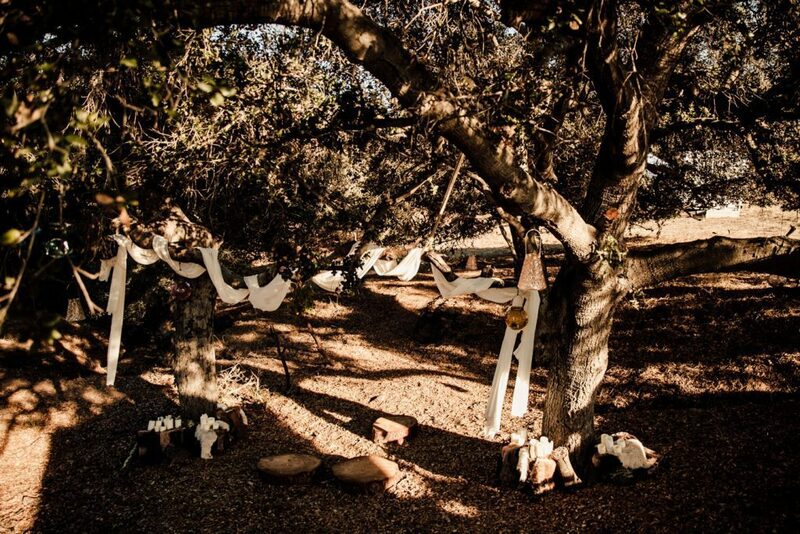 The bride and groom were surrounded by their bridal party for their hand fasting pagan ceremony on a private property in Ojai, CA. 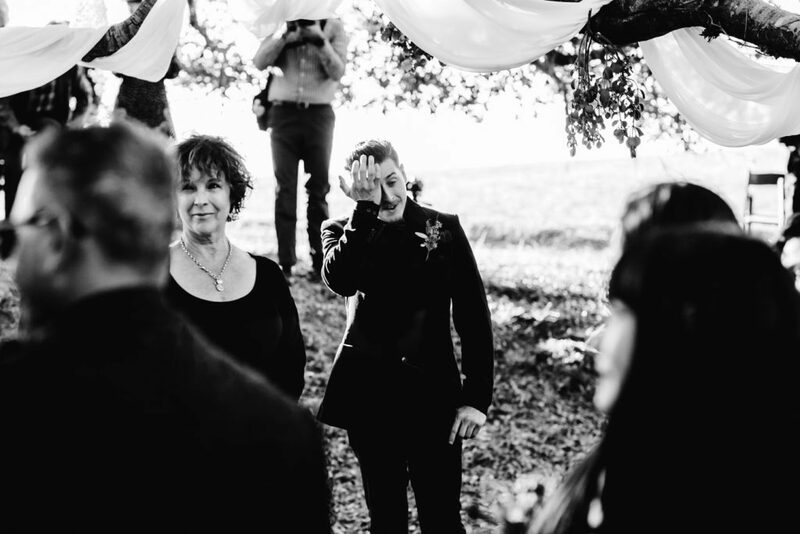 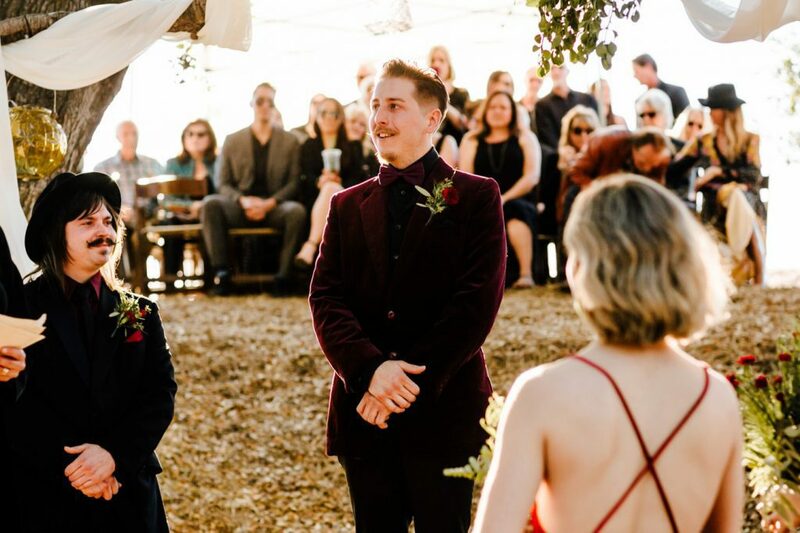 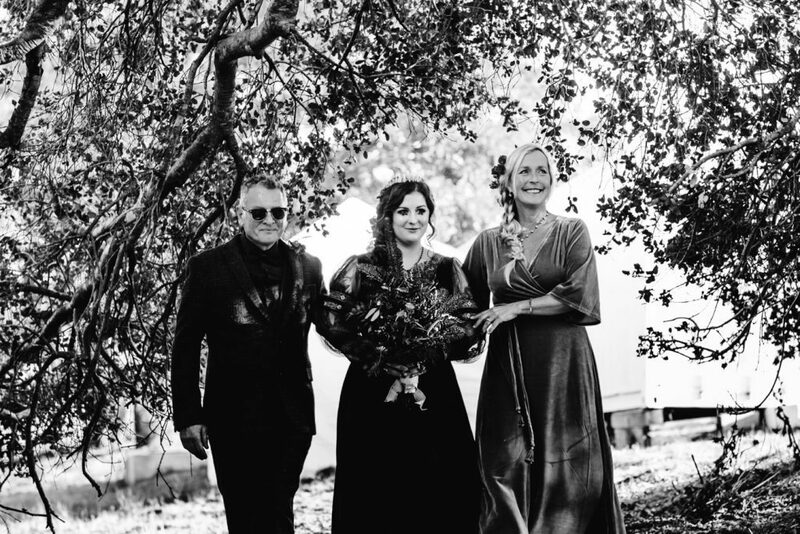 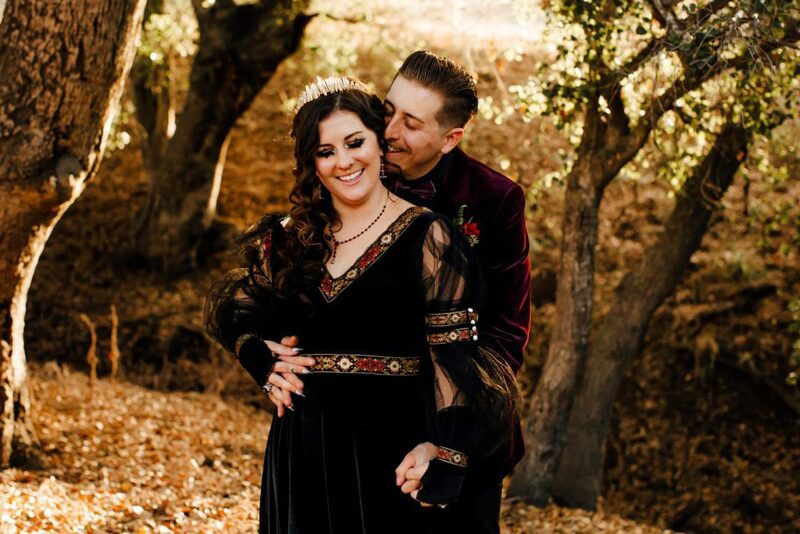 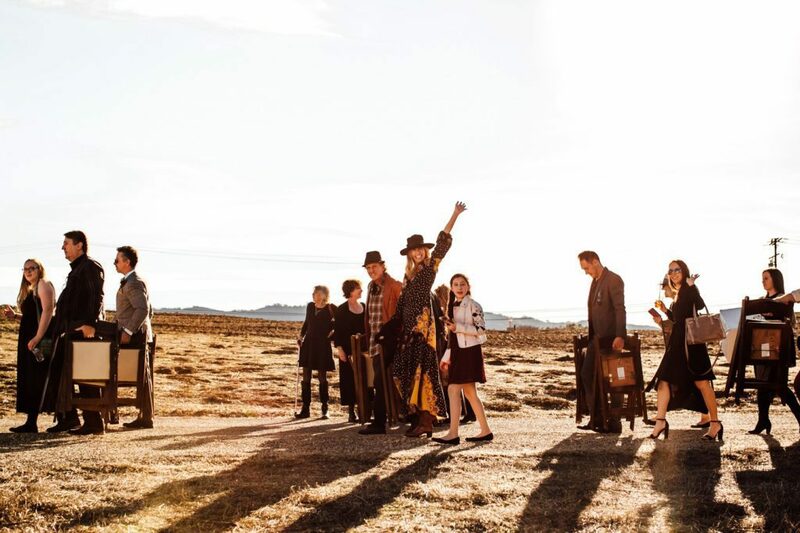 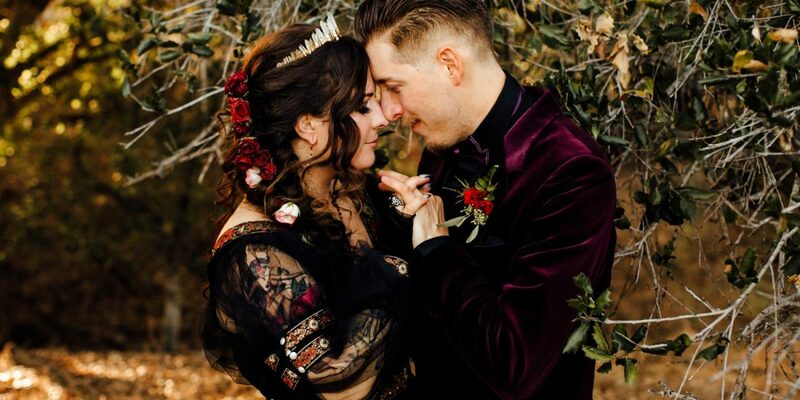 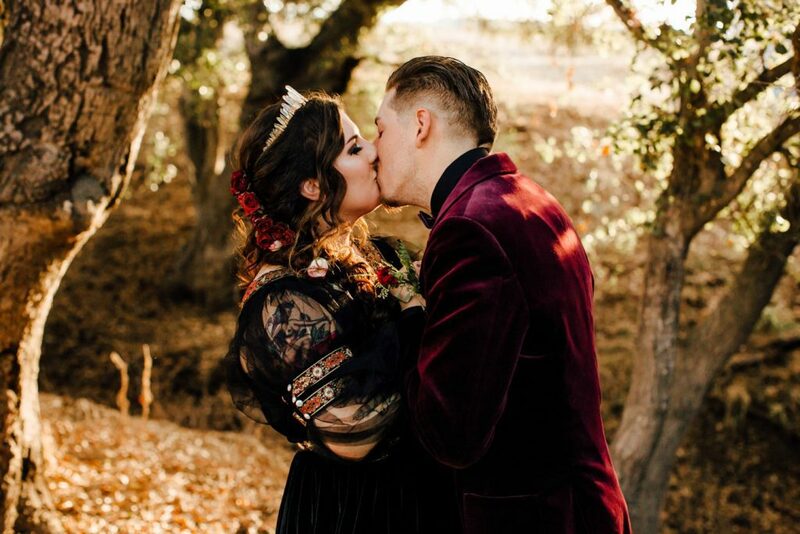 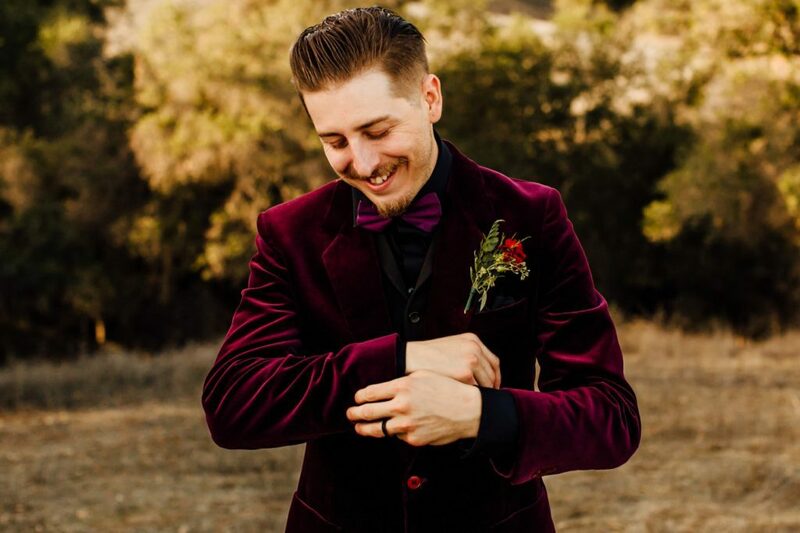 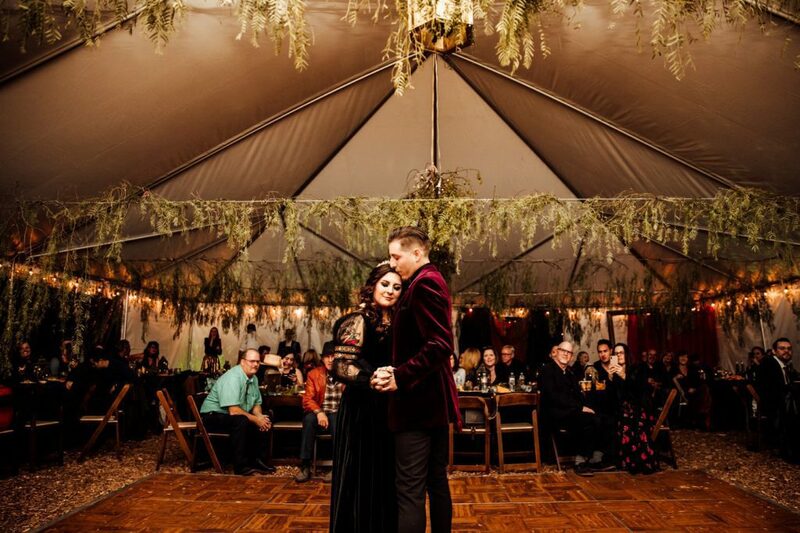 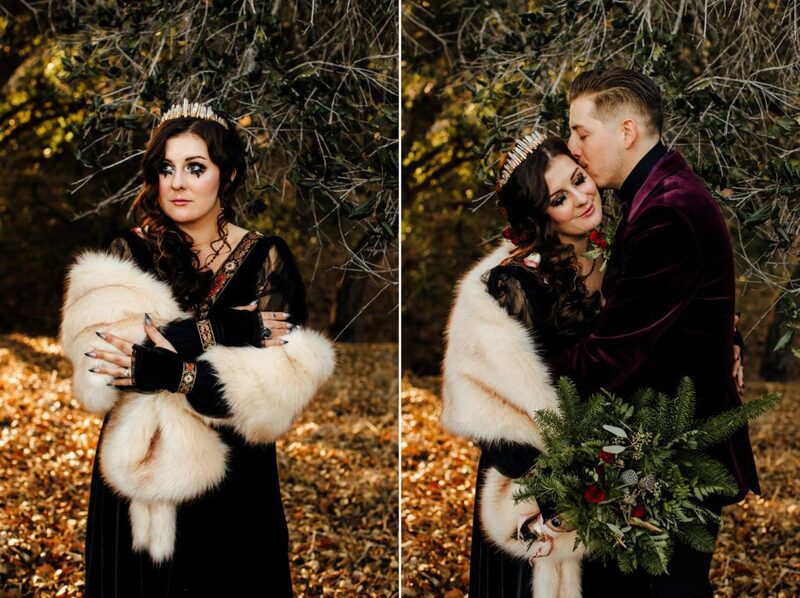 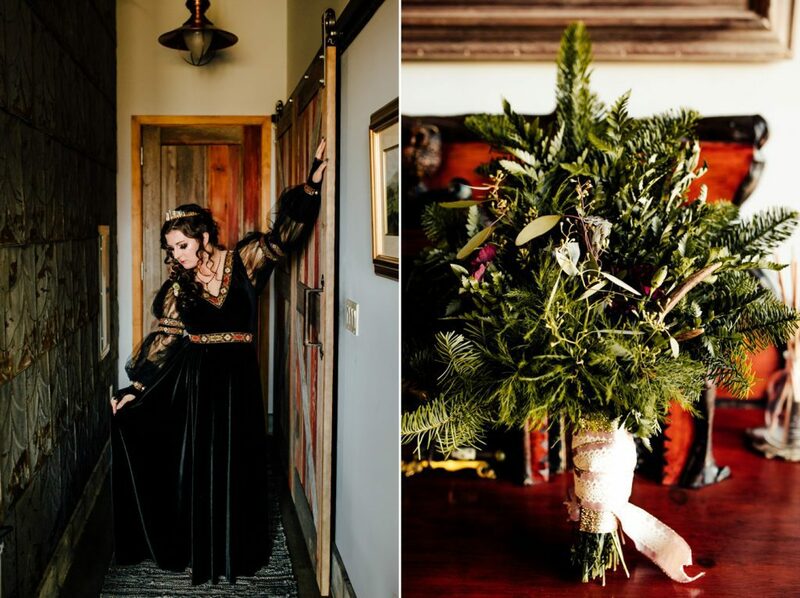 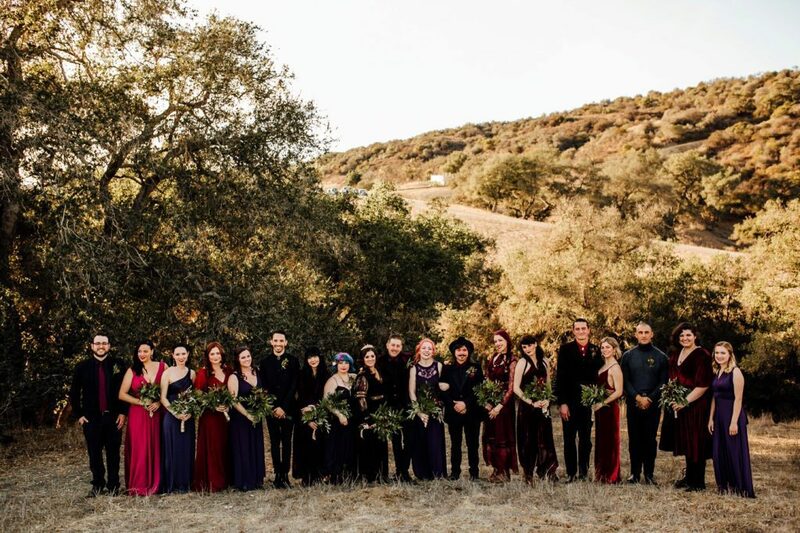 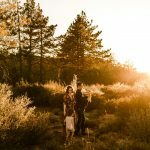 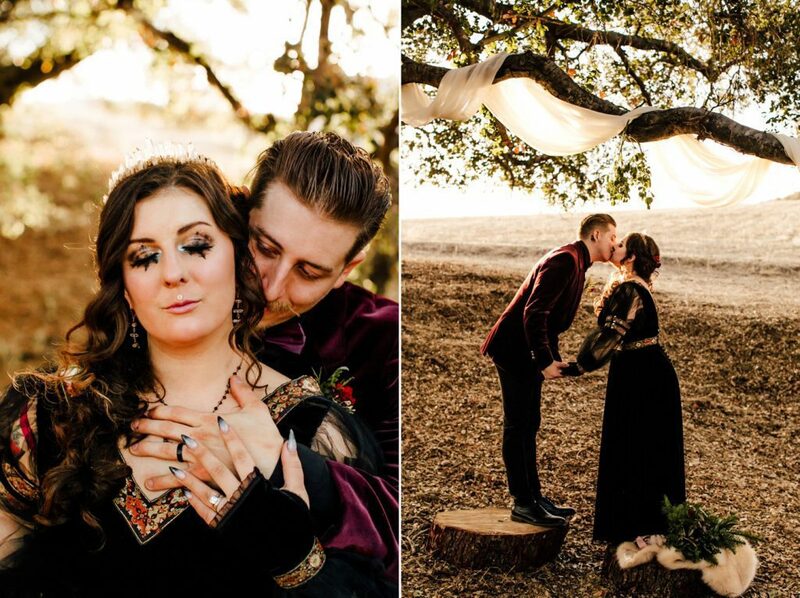 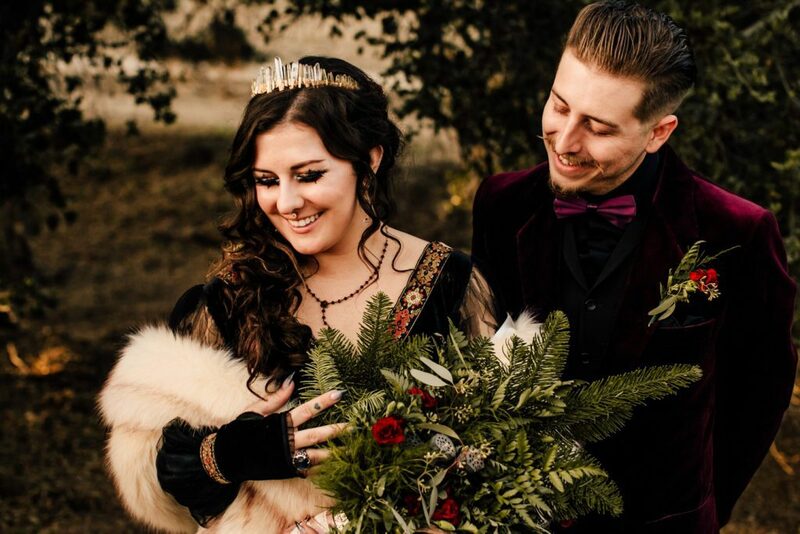 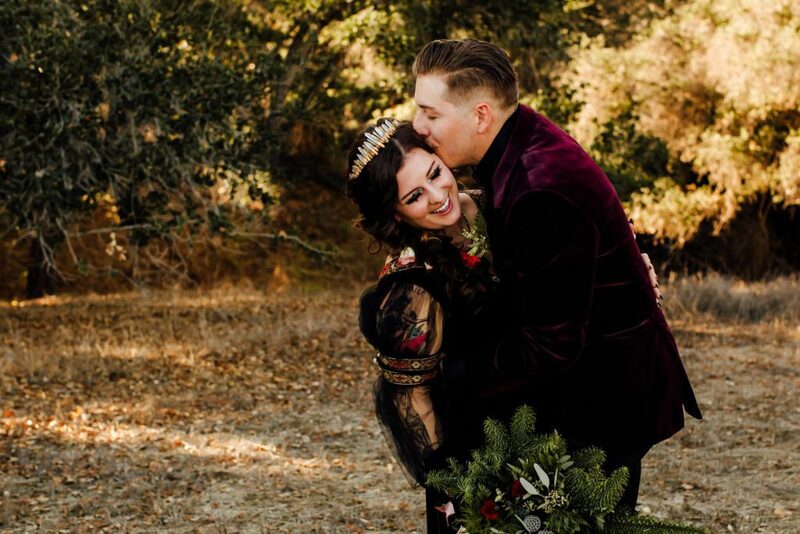 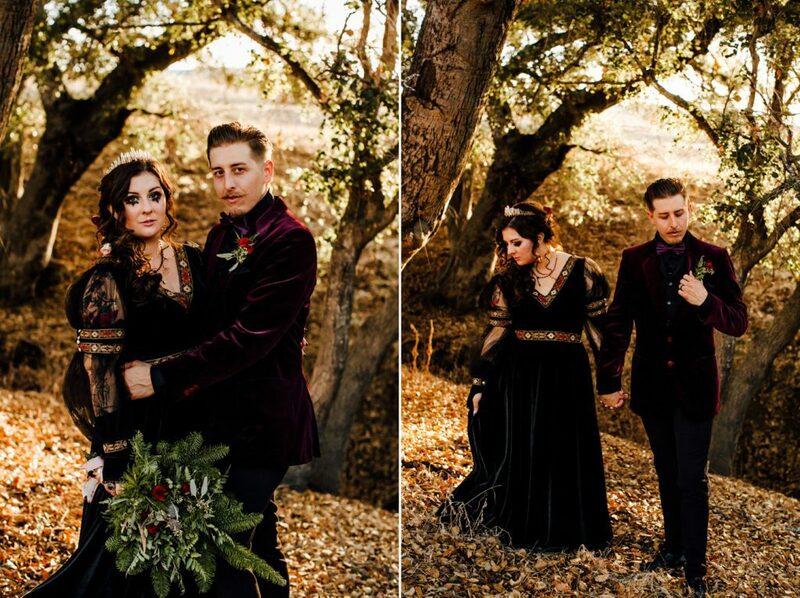 Megan wore a black wedding dress while Nick rocked a velvet suit jacket, and their bridal party were all mismatched to what would help them feel comfortable and unique to themselves. 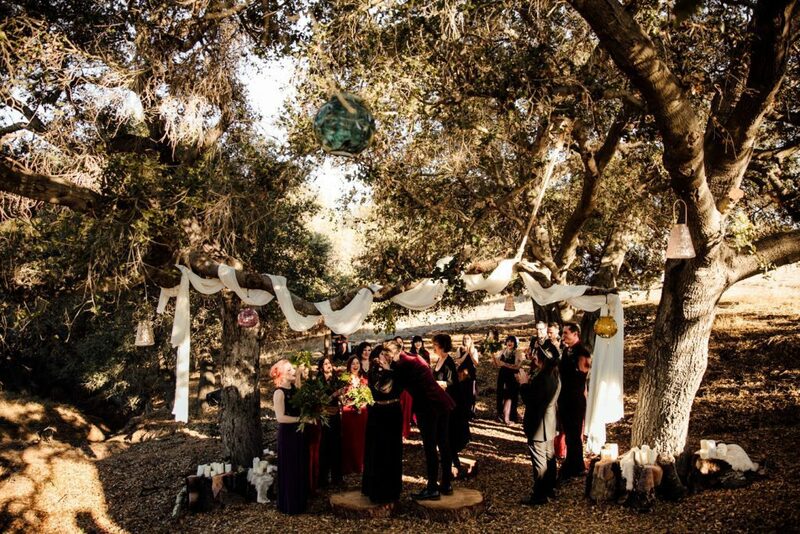 The dinner was an all-vegan meal and was prepared by family members – and was absolutely delicious. 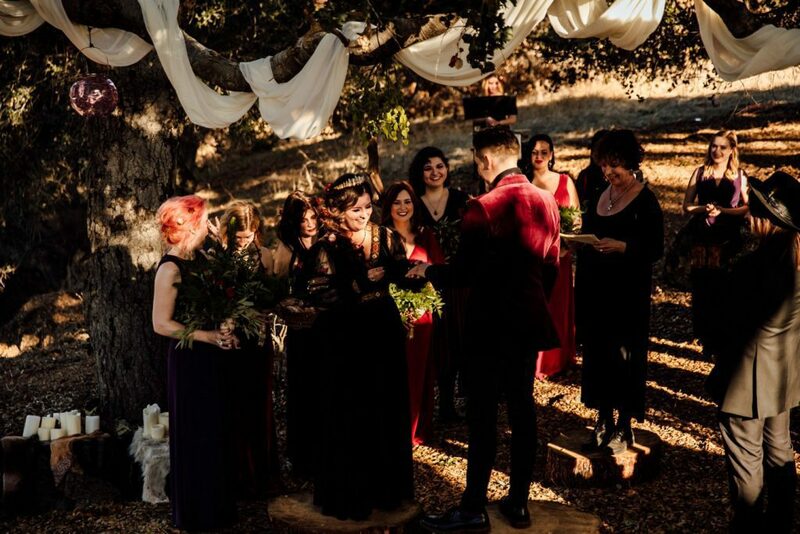 Their lives are so focused on their family and friends and I feel like the connection they had with their guests was so evident of that. 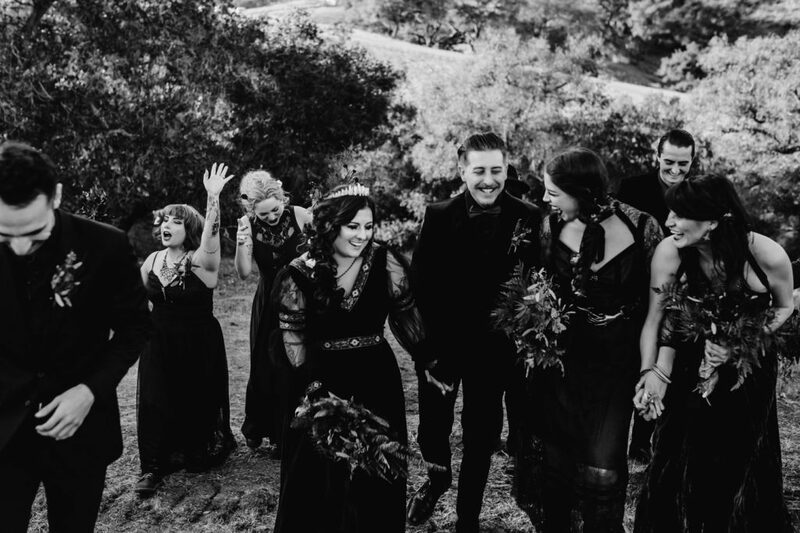 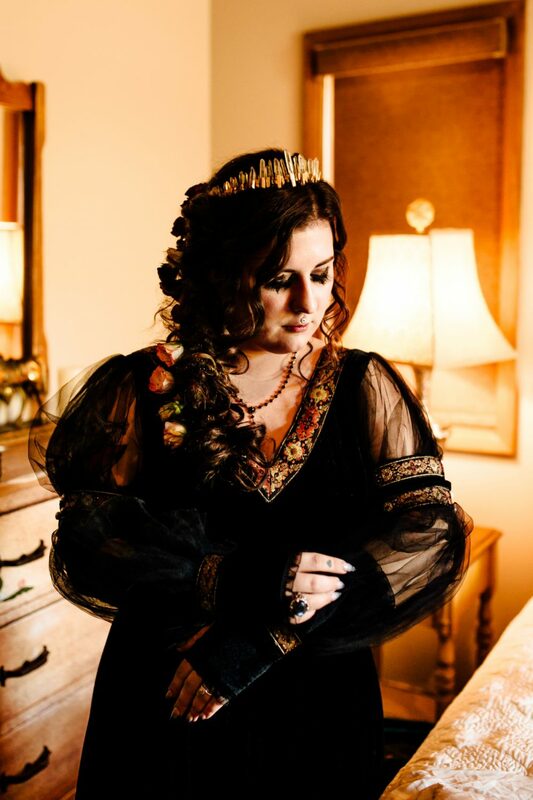 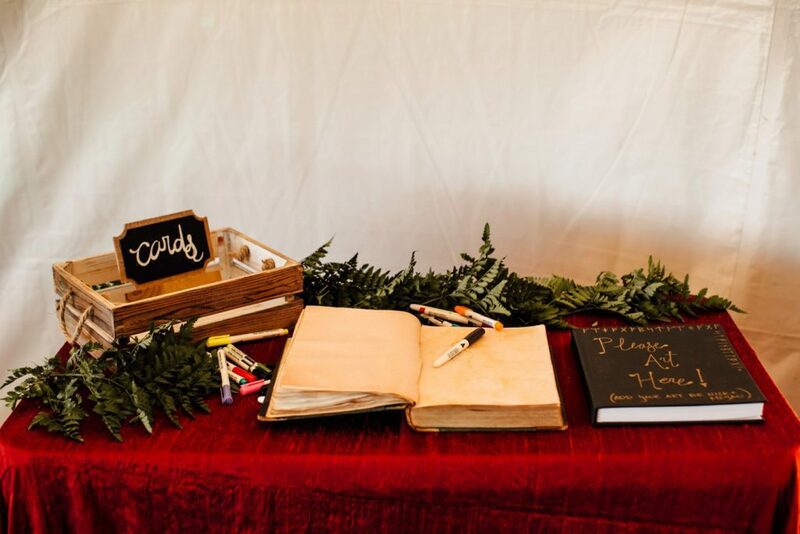 This wedding day was darkly romantic, focused on what truly matters when you celebrate love on such a special day as this. 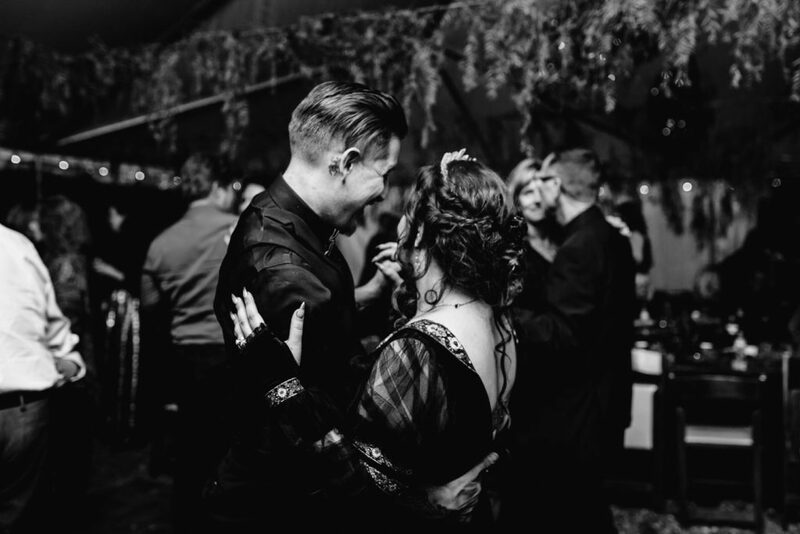 It is a great reminder that your celebration can be whatever you want it to be. 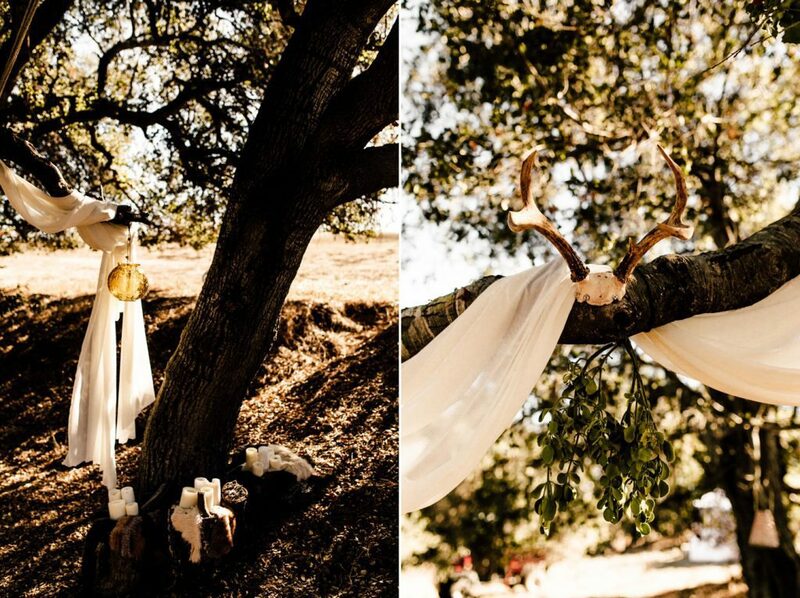 – Decor: The couple DIY’d and staged everything themselves with the help of family.